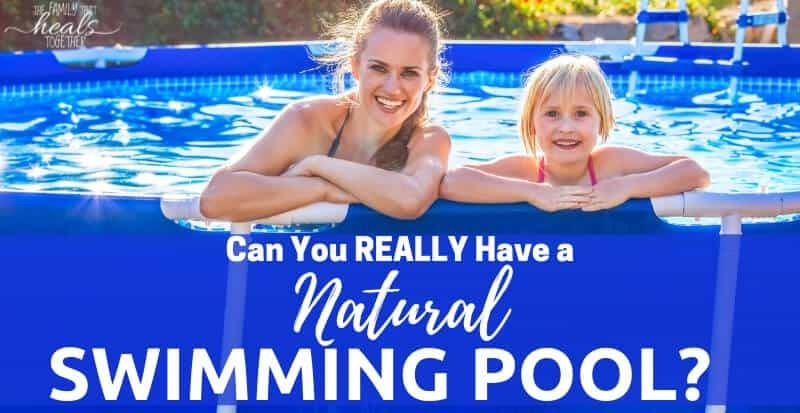 As it turns out, natural swimming pools are a great way to say, “no thanks” to a barrage of harsh pool chemicals while still enjoying the warm weather. In this post, Danielle shares the different ways that you can safely keep your natural pool clean. Okay, stay with me. I am not suggesting you grab a shovel and dig out a pond in your backyard (although that is an amazing option!). But as you may know, most pools use conventional, toxic cleaners to limit bacteria and keep them pristine. Swimming is so good for you – especially for growing kids – and it’s great exercise. Fortunately, there are healthy options to have a natural swimming pool at home. How do swimming pools stay clean? Chlorine is used as a disinfectant in over 100 pool cleaning products. When chlorine mixes with water, it forms hydrochloric acid and hypochlorous acid. Hypochlorous acid can penetrate bacterial and fungal cell walls to kill them. The problem is, they’re also killing your good bacteria – and maybe doing even more damage – too. Chemicals from pool exposure have been linked to lung damage and bladder cancer. The by-products of these chemicals may also cause long term genetic damage. Unfortunately, going into the water is not your only concern. Chlorinated water gives off chloramine, an oxidized gas, that is harmful when breathed in. This is especially true for those with asthma or allergies. It isn’t only chlorine you have to look out for. Most pools use additional noxious chemicals, including cyanuric acid, bromine, lithium, and potassium monopersulfate oxidizers. A natural pool doesn’t rely on harsh chemicals to stay clean. Natural swimming pools can be filtered by salt, diatomaceous earth (really, what isn’t it good for? ), food grade hydrogen peroxide, and even plants. Salt filtering uses about 50 pounds of salt per year to clean the water. However, most saltwater systems also use chlorine, just in much smaller amounts. Salt may cost you around $8 per year, but you will need to also use another system. You will also need to monitor corrosion from the salt on your pool. Pros: Reduces the amount of pool chemicals needed to keep the water clean; cost effective. Cons: Does not completely eliminate harsh chemicals. 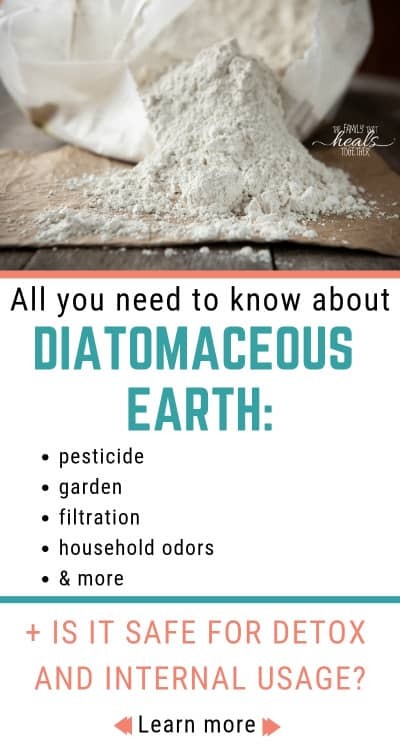 Diatomaceous earth (DE) has been used in even conventional pool systems because it’s known to make the pool water crystal clear. That’s because DE kills even the smallest contaminants. Using DE is pretty cheap, around $20-30 per year. You will find DE filters are easier to maintain; these systems will run you around $500 or more. Pros: Gets great reviews for keeping a pool sparkling clean; totally non-toxic; easy to maintain. Cons: Moderately priced; not as cheap as other methods of filtration. Connect this DE filter to your pump and purchase pool-grade DE here. Ultraviolet (UV) filters are also an option, and one rising in popularity. UV filters work by running the water through UV light, stopping a pathogen’s ability to multiply. Depending on the size of your pool, a UV filter will cost between $600-1,200. This is a low-maintenance method, as you don’t need to continue to check or add substances to the pool. Pros: Totally non-toxic; low maintenance. Cons: Pricier than other filtration options. Food grade hydrogen peroxide is a cost-efficient and easy method of sterilizing your natural swimming pool (and even to cure chronic illness). If using hydrogen peroxide, you will want to be sure it is in a concentration of at least 50 ppm by testing it often. You need to use food grade hydrogen peroxide; the 3% type found at most grocery stores will not be enough. The cost of using can be quite high, depending on the size of your pool. You will need to check the pool water regularly and keep up on adding more hydrogen peroxide. Pros: Works well to keep pool water clean; swimming in food grade hydrogen peroxide-treated water may offer therapeutic benefits for those suffering from health concerns. Cons: High maintenance and costly. Jaclyn’s note: This is the method I used to keep my natural swimming pool clean this past summer. While it worked well, it is high maintenance and costly, as you must pour several gallons in at a time, and it must be repeated every 2-3 weeks. While I was thrilled that my kids got to swim in non-toxic, therapeutic water all summer, I will likely add a UV or DE filter this next summer in order to cut down on how often we must treat with hydrogen peroxide. I searched the internet for the best price on 30% food grade hydrogen peroxide, and this is where I decided to buy it. You also need to purchase PPM test strips to frequently test the pool water and ensure your HP is concentrated enough to maintain cleanliness. Get those here. Plants have been filtering water since the dawn of time. Specific plants, like the water lily, filter water and reduce contaminants. Strategic layers of sand and rocks further filter the water. While this system is totally doable, you will need to hire an expert (or spend a lot of time on Youtube) to install a system that is sure to filter water properly, as well as water pumps to move the water through the filters. These systems could cost anywhere from $250 for the DIY-er, to thousands. While this is a wonderful, natural method to clean your pool, you may need some education or a professional to help. Pros: As natural as it gets; low cost. Cons: Takes lots of know-how. Most people will actually use two of the above methods to be sure that their pools are not growing anything unwanted. All in all, the mixture of organic materials, sunscreens and other lotions, plus pool chemicals is a recipe for disaster. Though we all love some summer pool time, it’s a good idea to look for a naturally managed pool – or install one yourself. Bathe before going into the pool. Your skin will soak up the cleaner water before entering the pool. Afterward, wash off pool water. Slather yourself with coconut oil, or another oil, before going into the pool or pool area. Likewise, this helps fill up your pores with the oil and not the chemicals. Choose outdoor pools over indoor pools. Limit your exposure. Take extra vitamin C and drink plenty of water before and after a chlorinated pool exposure. You can even add vitamin C powder to coconut oil or other lotions to prevent more chlorine absorption or try this DYI vitamin C after swim spray to neutralize chlorine. Supplement with the antioxidant astaxanthin in the summer months. 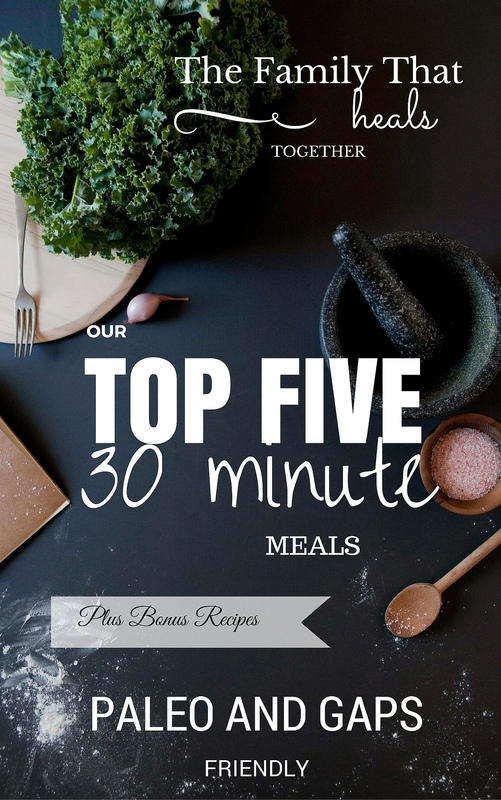 It will help manage any unwanted toxins and decrease the likelihood of sunburn. In addition, one of our favorite companies, Bioray, offers wonderful products to help mitigate exposure to pool toxins. Use Bioray Kids’ NDF (natural detox factors) Focus to reduce environmental sensitivities, or for grown-ups, try NDF Plus. Read more here about how these products can help with chlorine exposure. Studies show that natural swimming pools are safe, or safer than conventional swimming pools. 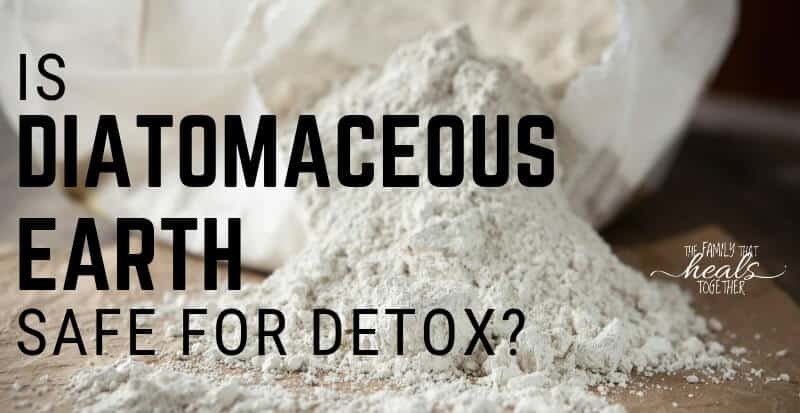 In fact, they have less irritants and chemicals that could cause serious side effects, including gut damage from harming your good bacteria. Of course, natural pools should be kept up to ensure that the pools are maintained properly. Choosing the right natural pool for you may mean deciding how much time, money, and care you can put into it, but, it is well worth the investment. Besides that, unnatural pools take a lot of care as well, plus they also have a whole list of “side effects” you do not want to spend the time and money healing from. 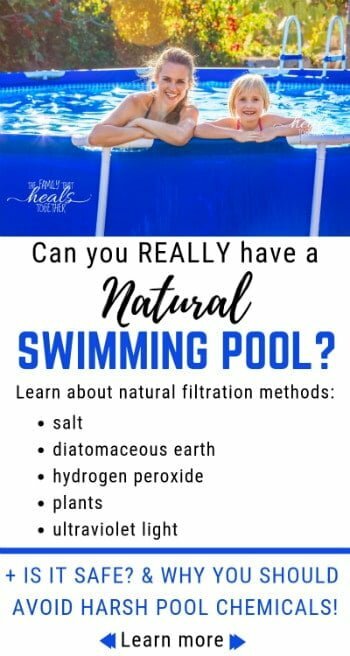 For the nature enthusiast, you may want to fill your pool with plants, but most folks will opt for food grade hydrogen peroxide plus a UV filter. This combination is one of the best ways to make sure your natural pool is sanitized, healthy, and easy to maintain. Have you thought about installing a natural pool? Share in the comments below!